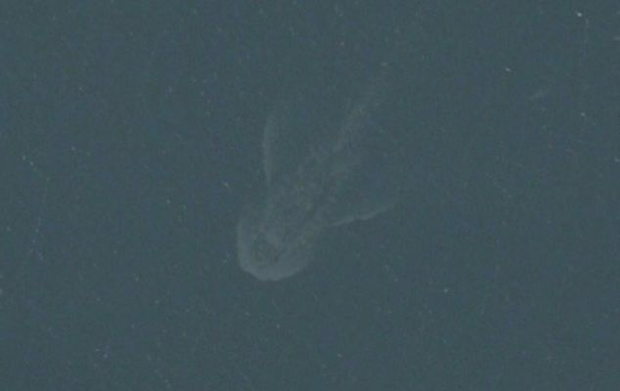 Users of Apple's map app have spotted something in Loch Ness. Gary Campbell, president of the Official Loch Ness Monster Fan Club, told the Daily Mail, "It looks like a boat wake, but the boat is missing... the size of the object would make it likely to be Nessie." The image I've posted here is a detail-enhanced image, because in the original Apple map image, it's difficult to see much of anything at all. "Satellites travel along an orbital path, taking pictures that are then stitched together. Just like when you take a panoramic picture with your phone. Stitched photos aren’t perfect. 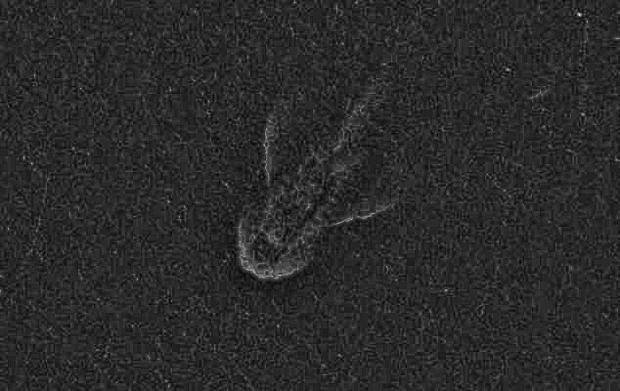 For example, if one picture has a boat that’s totally washed out (like almost every boat is when photographed from space) and another picture is just blue water, then you’ll be left with the ghostly blue outline of a boat, which is clearly visible on the “Nessie” picture." So this wouldn't qualify as a Loch Ness Monster hoax. Just Loch Ness Monster pareidolia. Gary Campbell:"...the size of the object would make it likely to be Nessie." There's no arguing with that kind of logic. Wait. There are actually users of Apple Maps?!??? ?